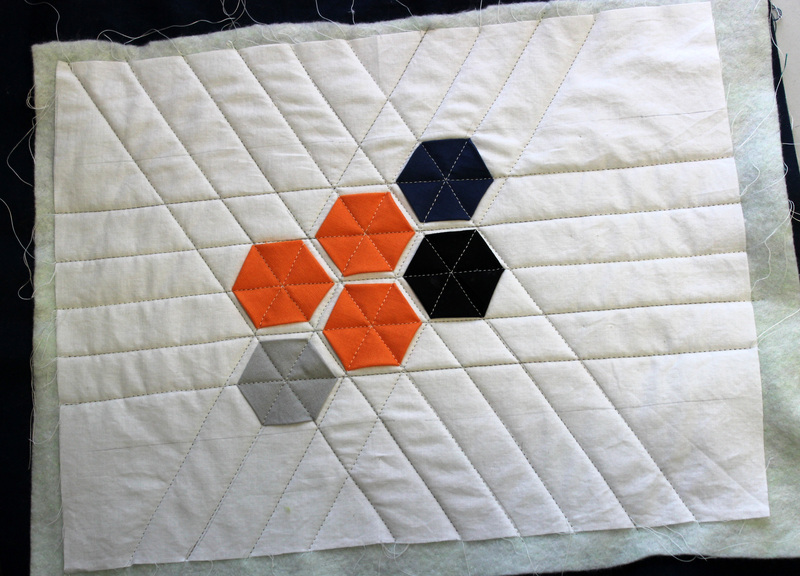 In my Random Perfection quilt I used hexagon applique. 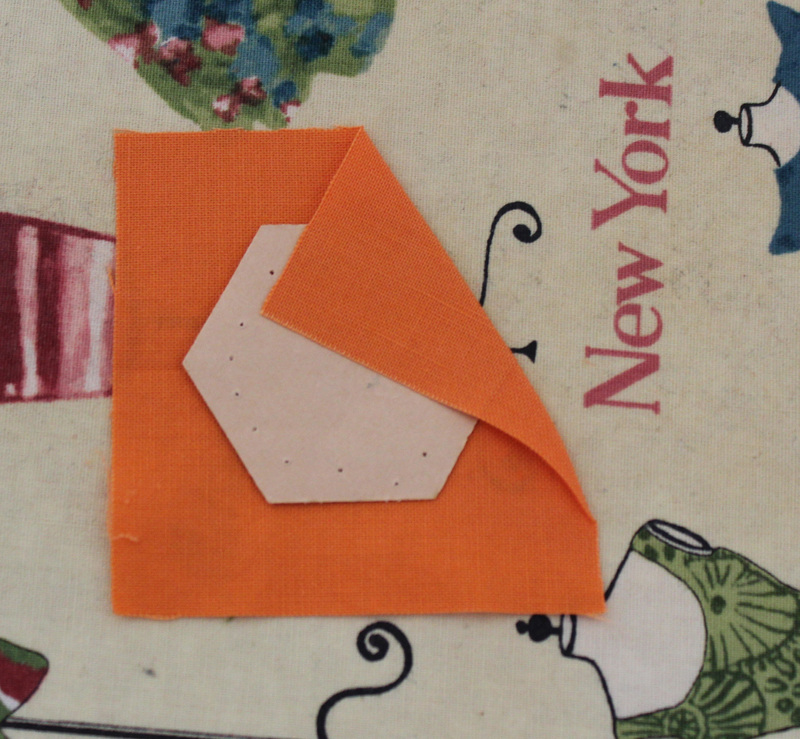 To avoid the problems I encountered where the fabric came out, you will need to make sure some of the folded fabric comes underneath each stitch line. Also, I didn’t use Aleene’s Fabric Fusion glue which is a permanent glue. That may explain why the folds came out as well. 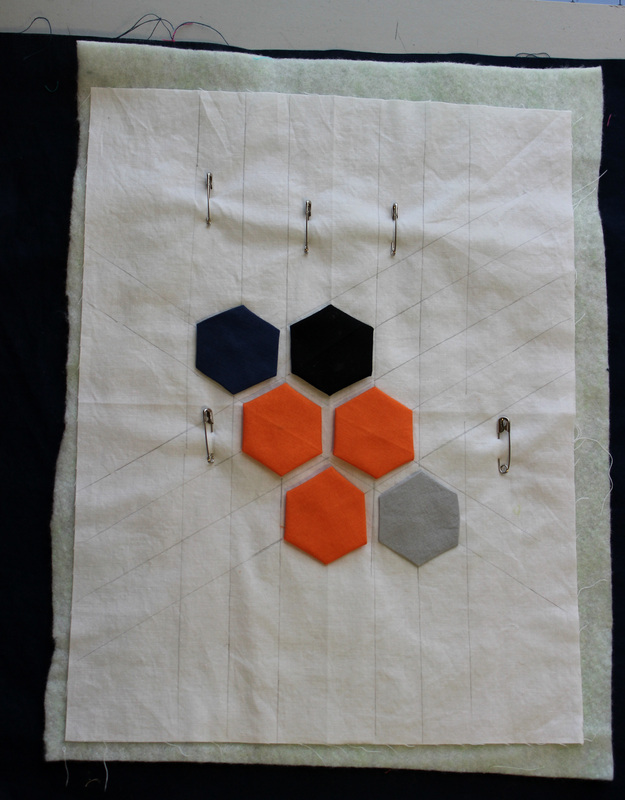 First I’m going to show you how to make a perfect hexagon applique. 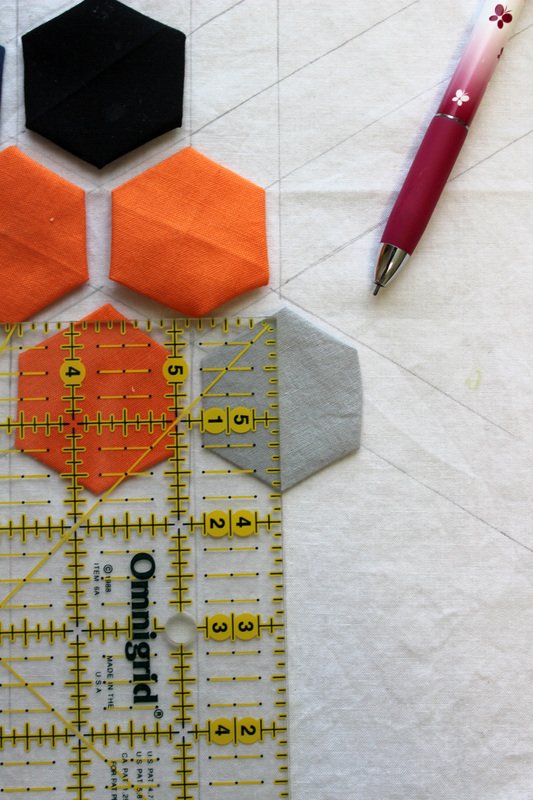 Then I’ll show you the “more fabric” way which will result in all the edges staying inside the hexagon applique even without permanent glue. 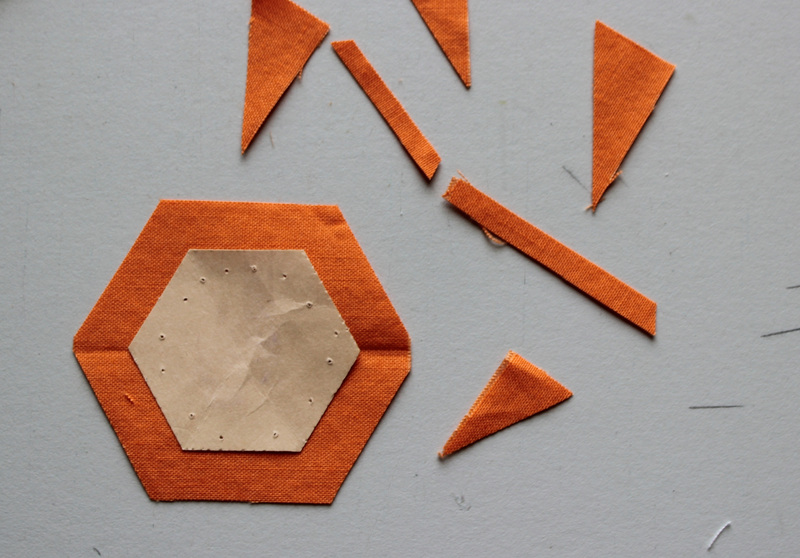 There is more than one way to make a perfect hexagon for applique and English paper piecing, but I like this method. Cut across the strip 2 1/2″. 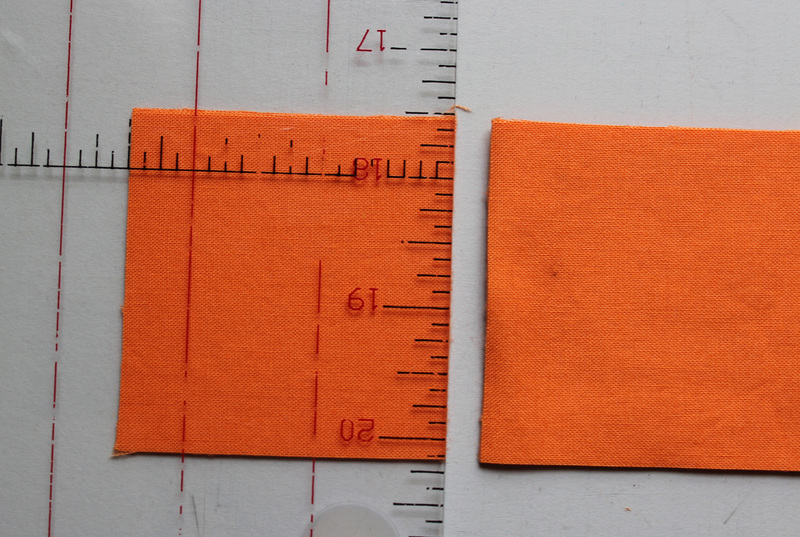 The piece is now 2 1/2″ by 2 5/8″. Trim around the edges. 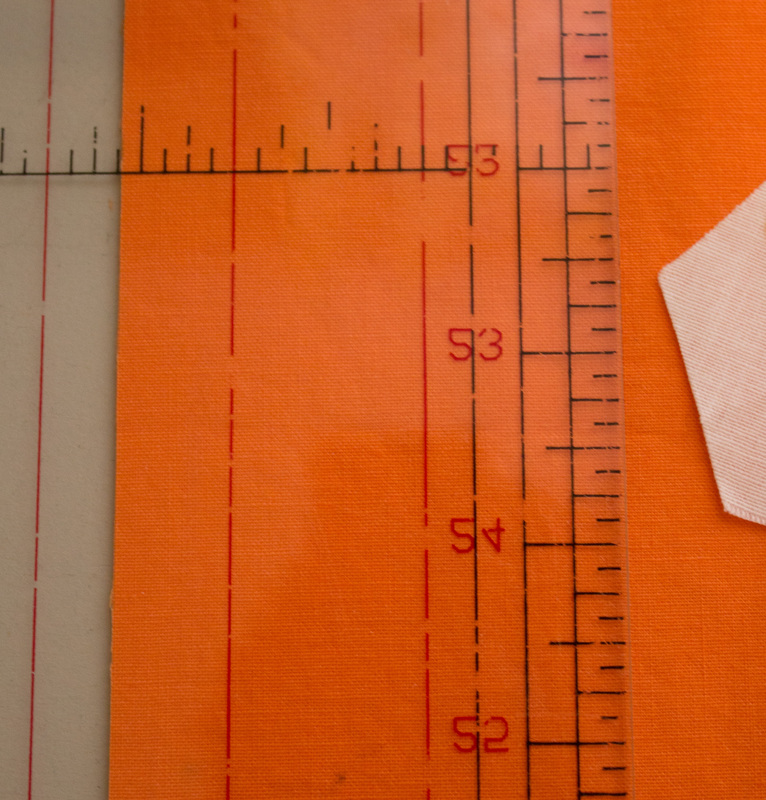 There should be at least 3/8″ from the edge of the paper to the edge of the fabric. 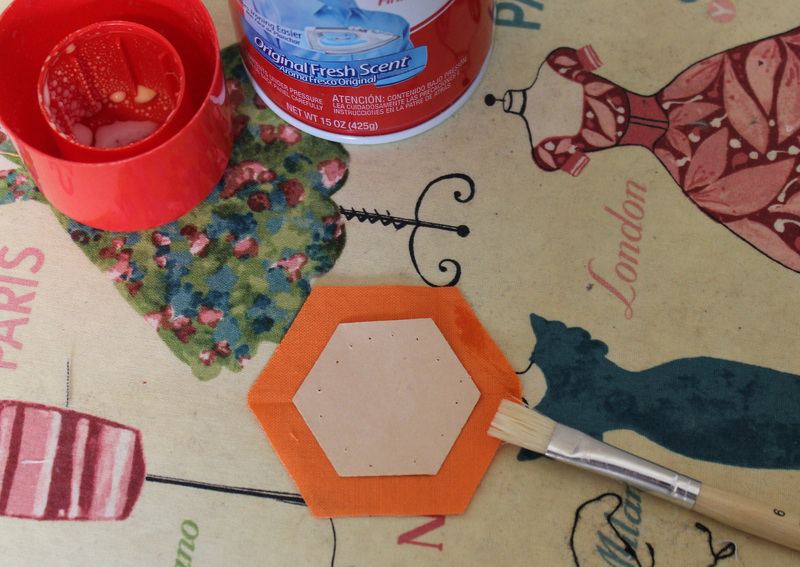 Spray regular starch into lid of starch and apply a small amount around the edges of the hexagon with a brush. Press the hexagon with an iron. 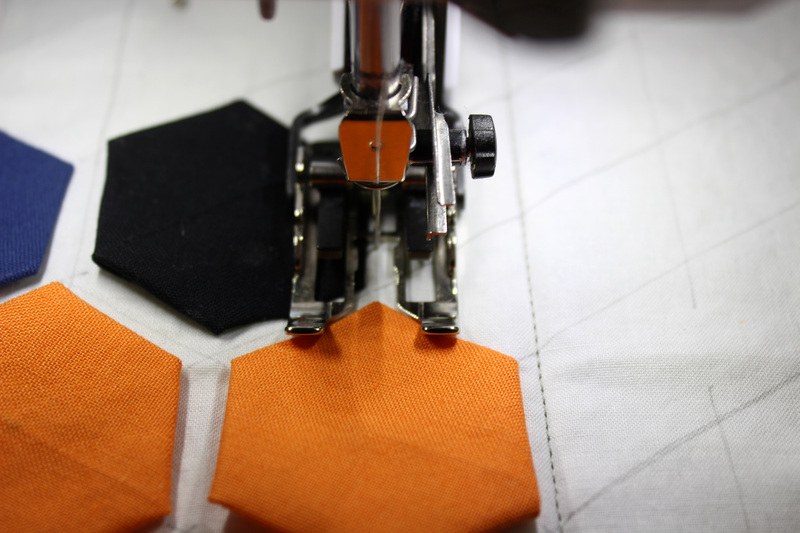 This is a perfect hexagon applique. You can remove the paper and there’s no basting strings to remove. 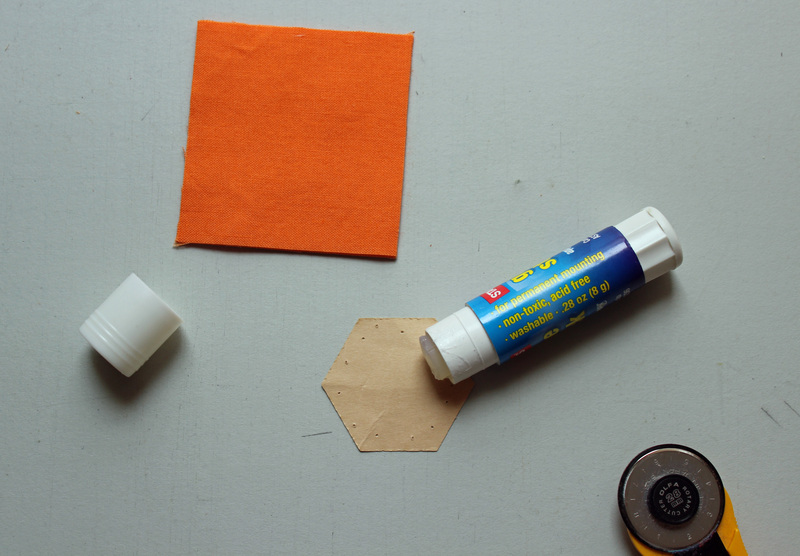 Dab a little glue on the paper and attach to the fabric. Do not trim into a hexagon shape. Press. 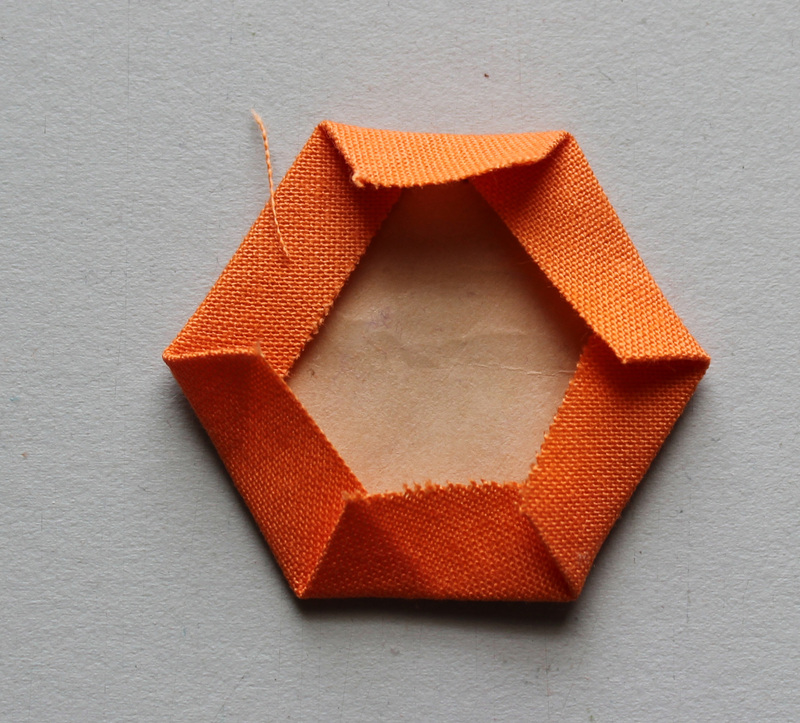 Make a few hexagons with the “more fabric” method and apply them using glue. I used Appli-Glue (it washes out). Stitch straight across the points. It takes three passes to get all the points. Success! None of the ends came out. 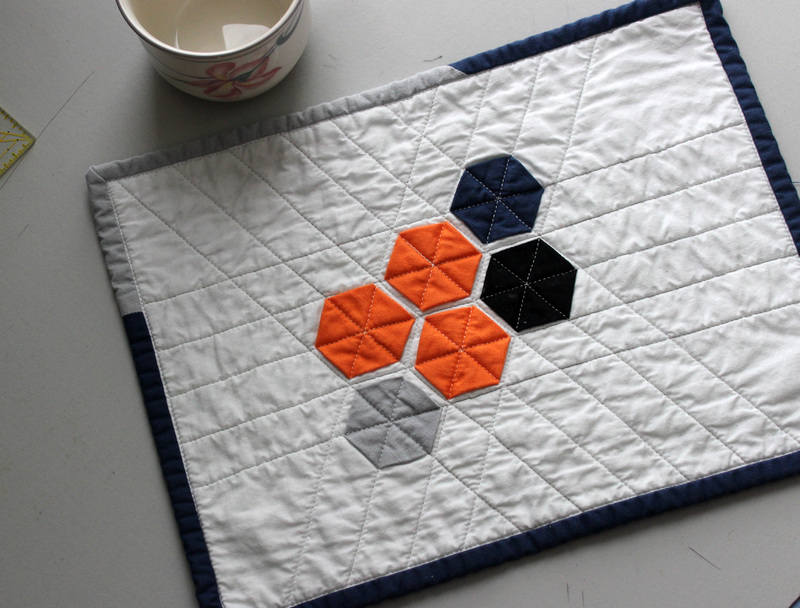 I’m linking up with The Late Night Quilters’ Tips and Tutorials Tuesdays. 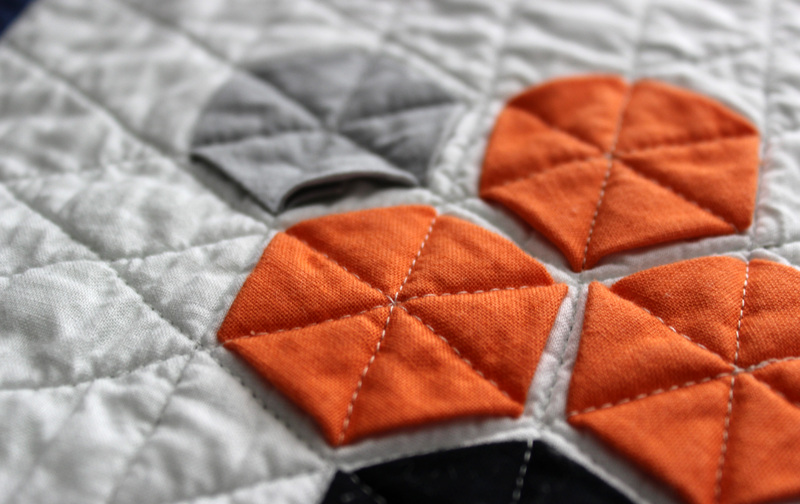 I love this technique every time I see it, I also use the more fabric method of creating hexies, but I’m yet to try this quilting… on my loooonng ‘to do’ list! Great tutorial. I’ll defo give this a try. Thanks for sharing! So glad to know it made sense. 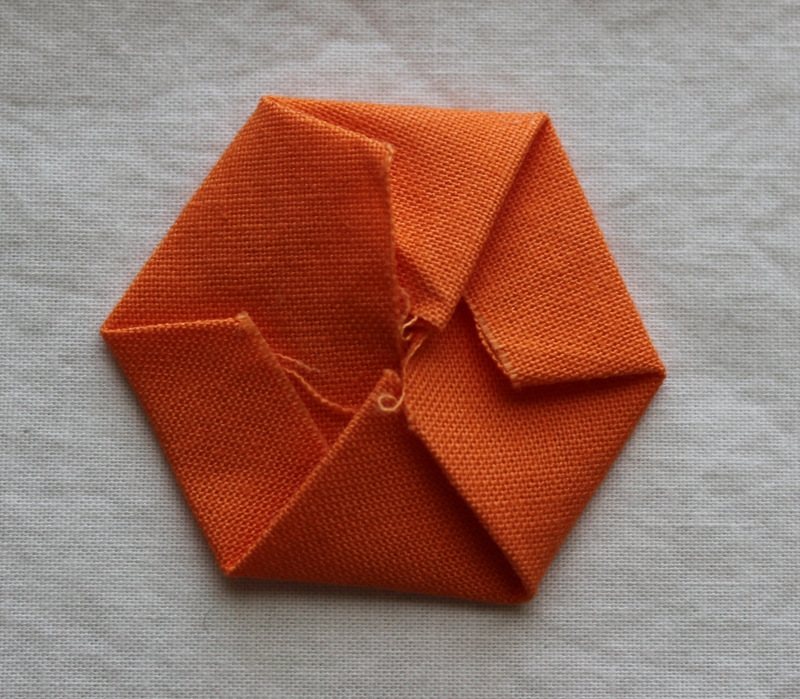 I always wondered about the fabric coming unfolded in the wash when I’ve seen the tutorials for this ‘appliqueing’ hexagons this way. (so sorry you found out the way you did!) Glad to know that the excess fabric method will work! Thanks for sharing! I suppose if you used the permanent glue it would work better, but I don’t like the idea of permanent glue on a quilt.